The Bharat Army are pround to partner with SFA Mumbai for a 3rd year in row as we support their cause to grow and develop sport in India. Our partnership with SFA is in line with one of Bharat Army’s core objective to “give back to India, said Bharat Army Founder Rakesh Patel. The SFA Championships allow us to support children in India by giving them a platform to perform in an Olympic style multi sport event”. At the 2018 SFA Mumbai Championships Bharat Army will be supporting 500 children from local governments schools participate in the Championships. The Bharat Army will share regular video updates of the schools and children we are supporting at the SFA Championships. One of The Bharat Army's core objectives has always been to give back to India by supporting disadvantaged children through Education and Sport. The Bharat Army have a long-term association with The Aware Foundation, and continues to support child educational development projects in rural parts of India. The Bharat Army are also a key partner to SFA (Sports For All), a fantastic initiative where we support disadvantaged children participate in an annual Olympic style sports championships. The Bharat Army Foundation will be the driving force behind all initiatives we support going forward. It will enable us to have a governing body around our fundraising activities with existing and new partners. Bharat Army is the Indian Cricket Team’s No. 1 Global Supporters Group. They have been supporting the Indian team for almost 20 Years now, irrespective of Team India’s result, their support and passion of their country is unrivalled. Wherever Team India travel around the world, they make their presence felt as the teams 12th man off the field! The SFA Championships is India’s first Olympic style interschool championships that motivates the children to be happy and play sport. 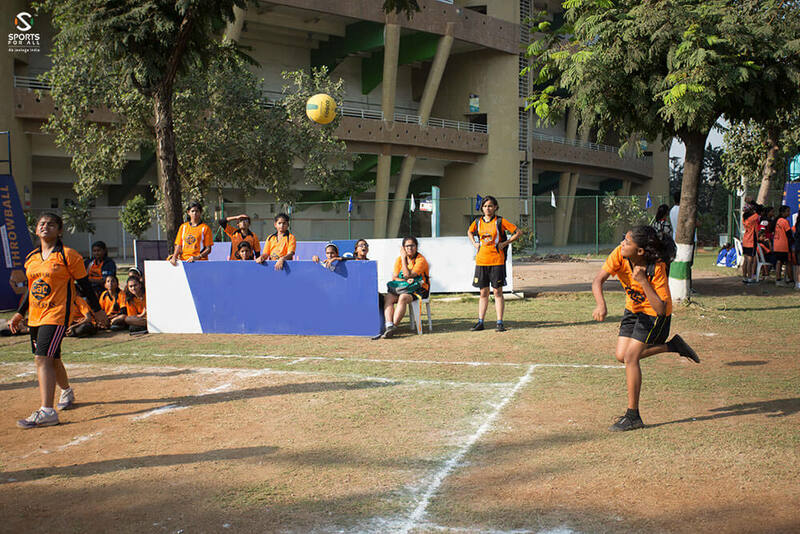 One of SFA’s core objective is to strengthen the vision of making every child fall in love with Sports. This partnership will allow Bharat Army to help SFA identify the future stars of tomorrow. Sports For All is a first-of-its-kind organization set out to revolutionize the way India plays inter-school sports and inter-college sports. By the way of commissioning a professional and an all-encompassing sporting eco-system, we endeavour to enable the next generation athletes from every school and college who aspire to represent India. Drawing inspiration from leading grass roots development programs worldwide and evolving them further, SFA is resolved to provide young Indian players a sporting environment comparable to that experienced by international athletes. Annual multi-style inter-school and inter-college sports tournaments at venues with top-notch infrastructure and facilities. Year-round training & development programs in partnership with reputed academies and coaches to enable young athletes to have ready access to facilities &improve their game. A holistic online portal for records maintenance of every athlete and school which will enable us as a nation to systematize sport in the true sense at the grass roots level. In a country where biases still exist in the field of sports basis socio-economic status, gender, educational board and even religion, Sports For All is determined to equalize society by extending unbiased and uniform guidance, facilities, infrastructure and opportunities in all Olympic sports. India has the potential to achieve accolades in the field of sport. Latent talent exists in every school of India. Sports For All aims to identify, nurture and bring young talent to the forefront by providing them with an extensive platform so that young athletes can be identified and they can finally dream of taking up sports as a professional career. Feeling and pride of representing an institution. 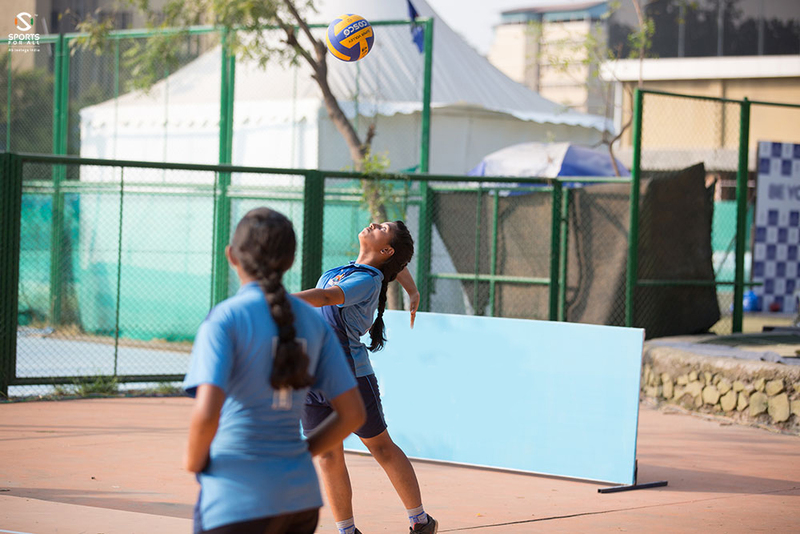 State-of-Art infrastructure, an environment conducive to play sports and the right guidance to perform better. Maintenance of records in videos and statistics by profiling players and schools. Sports For All is working relentlessly towards systematising the inter-school and inter-college sports eco-system in the country by providing a singular, integrated and an all-inclusive platform for young athletes, coaches and sporting services for schools and colleges across India, one city at a time with a focused approach. We have thus assumed the responsibility of creating champions in our country who will go ahead to represent India at the international level in the years to come. Archery Is A Pre-Historic Sport And Can Be Closely Linked With The Development Of Civilisation. It Can Be Compared To The Discovery Of Fire Or A Wheel Even! A Bow And Arrow Were Used To Hunt, Fight And Defend. Archery Was The Favourite Sport Of The Egyptian Pharaohs During The 18th Dynasty (1567-1320 BC). Many Centuries Later, Some Of The Earliest Recorded Archery Tournaments Took Place During The Zhou (Chou) Dynasty (1027- 256 BC) In China. Such Events Were Attended By Chinese Nobility. Much Later, English Writers Honoured The Longbow For Famous Contributions To Their Country’s Victories In The Battles Of Crécy, Agincourt And Poitiers. One Of The Most Famous Mythological Stories From India, Showcasing The Value Of A Teacher, Uses Archery As Its Focal Point. It Was Known As ‘Dronacharya’s Test’, Where His Pupil Arjuna Was Instructed To Target The Eye Of Artificial Fish Looking At A Reflection In The Water. Archery Today Is A Lot Simpler Though! Modern Competitive Archery Involves Shooting Arrows At A Target For Accuracy From A Set Distance Or Distances. This Is The Most Popular Form Of Competitive Archery Worldwide And Is Called Target Archery. World Archery Is The International Governing Body For The Sport Of Archery. Archery Was A Feature Of The Olympic Games From 1900 To 1920, Becoming, In 1904, One Of The First Olympic Sports To Include Women. It Was Then Off The Programme For Slightly Over 50 Years. In 1961 Inger Frith Became President Of The International Archery Federation – The First Woman To Serve As President Of An International Sports Federation – And Largely Through Her Efforts Archery Returned To The Olympic Programme In 1972. The Most Decorated Archer In Olympic History Is Hubert Van Innis Of Belgium Who Competed In 1900 And 1920, Winning Six Gold And Three Silver Medals. The National Indian Governing Body Of Archery As A Sport In India Is The Archery Association Of India. Archery Is Extremely Popular In The Northeast Region Of The Country. The Set-Back With Archery In India Is The Equipment. It Is Expensive And Therefore It Is Not Easy To Practice And Train Regularly, Considering Budding Archers Cannot Even Buy Themselves A Bow. But Even So Our Archers Still Managed To Do Us Proud. Deepika Kumari Won An Individual Gold Medal In Archery At The 2010 Commonwealth Games, Beating Olympic Bronze Medalist Alison Williamson. Along With Laishram Bombayla Devi And Chekrovolu Swuro, Kumari Won A Silver Medal In The Team Event At The 2011 World Archery Championships. Another Notable Indian Archer Is Three-Time Olympian Limba Ram. Ram Met A World Record In 1992 At The Asian Archery Championships Held That Year In Beijing. 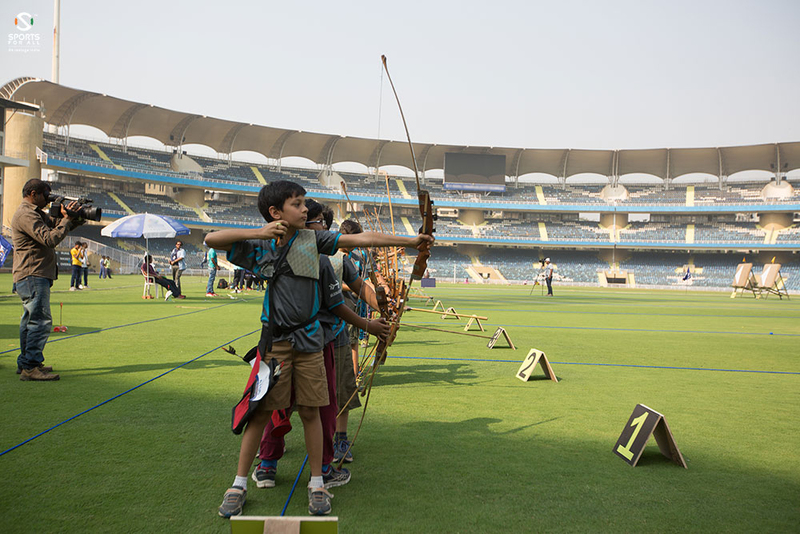 Indian Archery Needs A Slight Push In Terms Of Infrastructure, With Glory Ready To Follow. Throughout Recorded Sports History, Athletics Has Always Been Practised. The First Event Contested In The Ancient Olympic Games Was The “Stadium” Race, A Sprint Of About 192 Metres. Winners In This Event Have Been Recorded From As Far Back As 776 BC. Much Like Today, The Ancient Olympic Games Included A Wide Variety Of Track And Field Events. Such Events Included Longer Foot Races, A Race In Armour, And A Pentathlon Event That Consisted Of The “Stadium” Race, Long Jump, Discus Throw, Javelin Throw And Wrestling. Today It Is A Collection Of Sporting Events That Involve Competitive Running, Jumping, Throwing, And Walking. The Evolution Began In The In The 19th Century, With The Combination Of Events Held For The First Time At A Single “Meet” Or “Meeting” With Schools And Military Colleges Incorporating Sports And Exercise As Part Of Education Programmes. Today Sports And Physical Education Are Part Of Almost Every Educational Curriculum. The Earliest Recorded Meeting Dates Back To 1840 In Shropshire, England, But Specialised Championships Began To Thrive In The 1880s In The USA, UK, And Throughout Europe, As Well As In Other Developed Nations. The First Organised International Competitions For Athletes With A Physical Disability (Not Deaf) Began In 1952, When The First International Stoke Mandeville Games Were Organized For World War II Veterans. This Only Included Athletes In A Wheelchair. This Inspired The First Paralympic Games, Instituted From 1960. The Major Athletic Meets Are The Olympic Games, Paralympic Games, World Championships And The Commonwealth Games. The International Association Of Athletics Federations (IAAF) Was Founded In 1912 And Is The Governing Body For Track And Field. Essentially Athletics Can Be Divided Into Four Areas: Track Events Ranging From 100m Sprints To Long Distance Races Of 10,000m; Field Events Such As Long Jump, Discus And Javelin; Road Events Comprising The Marathons And Long Distance Walks; And The Combined Events Of Heptathlon For Women And Decathlon For Men. The Athletics Federation Of India (AFI) Is The Apex Body In Athletics In India And Is Responsible For Conducting Competitions In The Country. It Was Earlier Called As Amateur Athletic Federation Of India (AAFI). It Is Associated With Both Asian Athletics Association (AAA) And International Association Of Athletics Federations (IAAF). Anju Bobby George, Jyotirmoyee Sikdar, Milkha Singh, Norman Pritchard, P.T. Usha, And T.C. Yohannan Are Some Of India's Most Successful Athletes. Each And Every One Of Them Is A Pioneer For Athletics In India, In Their Respective Event Category. The Origins Of Basketball Date Back To 1981 Making It A Relatively New Sport In Comparison To Most Others. Canadian James W. Naismith Is Credited For Having Invented The Game, As He Sought A Suitable Indoor Game To Keep His Students Fit And Warm During The Cold New England Winters At The YMCA Training School In Massachusetts Where He Served As An Instructor. He Formulated 13 Rules, Most Of Which Still Apply Today. Originally, Basketball Was Played With Peach Baskets And Balls Had To Be Retrieved Manually After Each Score. Subsequently, A Hole Was Drilled Into The Bottom Of The Basket Allowing The Balls To Be Poked Out With A Long Rod. In 1906, The Peach Baskets Were Finally Replaced By Metal Hoops With Backboards. Also, A Football Was Used To Play Basketball Originally And Even The First Balls Made Specifically For Basketball Were Brown. It Was Only In The Late 1950s That Tony Hinkle, Searching For A Ball That Would Be More Visible To Players And Spectators Alike, Introduced The Orange Ball That Is Now In Common Use. The International Basketball Federation (FIBA) Was Founded In 1932 And Is The Governing Body For The Sport. Basketball Became An Olympic Sport At The 1936 Berlin Games For Men And At The 1976 Montreal Games For Women. In 1992, For The First Time, Professional Players Were Allowed To Represent Their Countries In National Team Competition. The Subsequent US Men’s Team Was Dubbed The “Dream Team” By The World’s Media And Dominated The 1992 Olympic Tournament. It Is Widely Regarded As The Greatest Basketball Team Ever Assembled. The Basketball Federation Of India Is Responsible For The Sport In The Country And Was Formed In The Year 1950 At Mumbai. Basketball Was Introduced To India Around 1908. 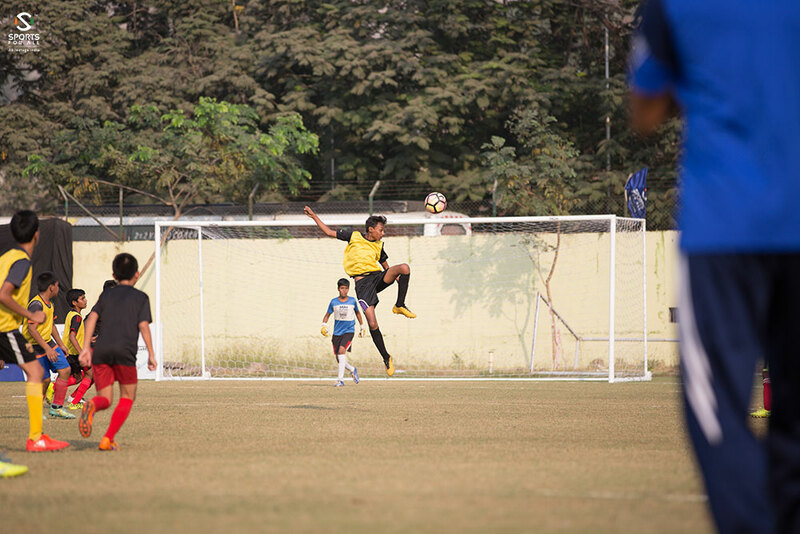 YMCAs Of Kolkata And Chennai Have Played An Important Role In Popularizing The Game. Subsequently, This Game Was Officially Recognized By The Indian Olympic Association And National Basketball Championship Was Conducted For The First Time In The History Of Indian Basketball In The Year 1934 At Delhi. The Required Facilities Were Beyond Reach And Not Satisfactory In The Earlier Stages, But Were Improved Slowly Due To The Effort Of The Institutions And Clubs Which Patronized The Game. 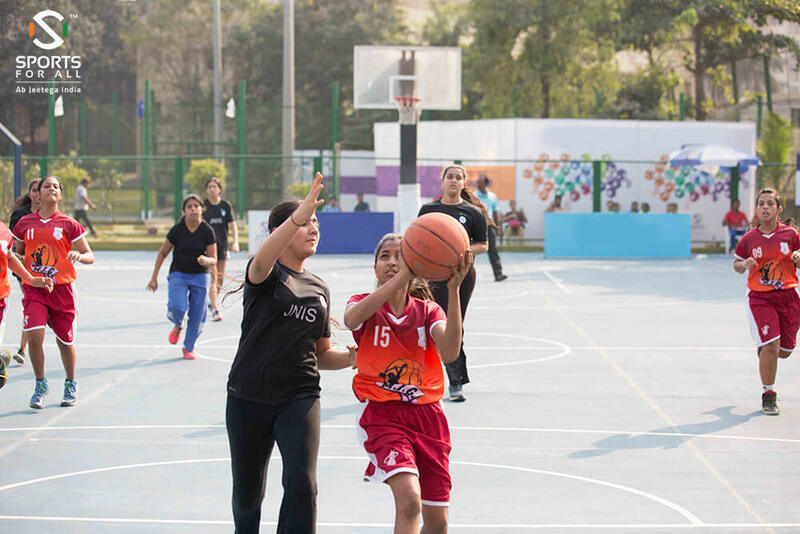 Basketball In India Is Played By Both Men And Women Of All Ages And Ability. Being One Of The Earliest Countries To Adopt Basketball, India Has So Far Produced Numerous Talented Basketball Players, Who Have Earned Recognition In The International Arena. Satnam Singh Being The Most Famous After His Selection By The Dallas Mavericks Last Year, Making Him The First And Only Indian To Be Drafted By An NBA Team. The Earliest Evidence Of Boxing Dates Back To Egypt Around 3000 BC. The Sport Was Introduced To The Ancient Olympic Games By The Greeks In The Late 7th Century BC, When Soft Leather Thongs Were Used To Bind Boxers’ Hands And Forearms For Protection. Later, In Rome, Leather Thongs Were Exchanged For The Cestus – A Glove Studded With Metal. Unfortunately, This Did Not Help The Gladiators Involved, As Boxing Matches Of The Era Usually Ended With The Death Of One Or Other Contestant. With The Fall Of The Roman Empire, Boxing Came To An Abrupt End. It Resurfaced In 17th Century England And Organised Amateur Boxing Officially Began In 1880. Originally Only Five Weight Classes Were Contested: Bantam, Not Exceeding 54 Kilos; Feather, Not Exceeding 57 Kilos; Light, Not Exceeding 63.5 Kilos; Middle, Not Exceeding 73 Kilos; And Heavy, Any Weight. Boxing Made Its Olympic Debut At The 1904 Games In St Louis. The International Boxing Association (AIBA) Was Founded In 1920. Since Its Inclusion In The Olympic Programme, Boxing Has Been Staged At Each Edition Of The Games, Except In 1912 In Stockholm, Owing To Swedish Law, Which Forbade The Practice. 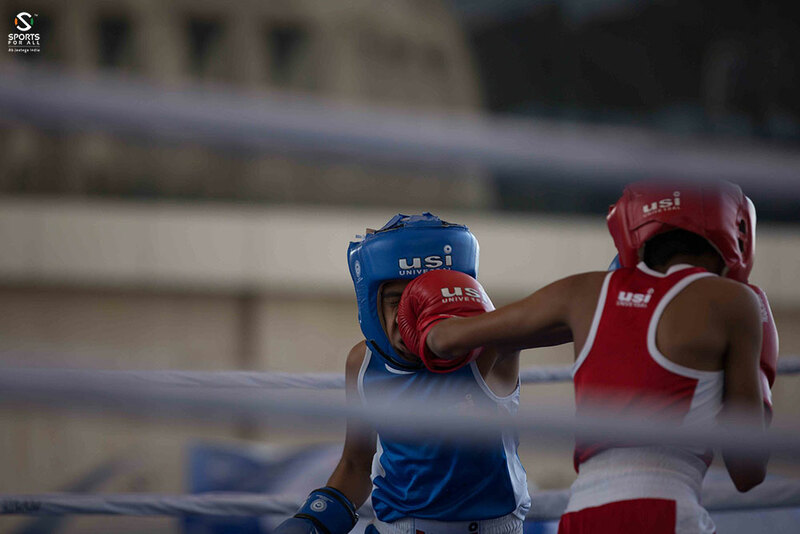 Women’s Boxing Made Its Debut At The 2012 London Games In London. The Current 11 Men’s Events Will Be Replaced By 10 Men’s And 3 Women’s Events. India’s Success In The Sport Can Be Highlighted By Mary Kom And Vijender Singh. The Former Hailing From The Kom Tribe In Manipur Is A Five-Time World Amateur Boxing Champion And The Only Woman Boxer To Have Won A Medal In Each One Of The Six World Championships. She Became The First Indian Woman Boxer To Get A Gold Medal In The Asian Games In 2014 In Incheon, South Korea. Nicknamed "Magnificent Mary", She Is The Only Indian Woman Boxer To Have Qualified For The 2012 Summer Olympics, Competing In The Flyweight (51 Kg) Category And Winning The Bronze Medal. She Was Also Honoured With The Padma Bhushan Award In 2013. Another Notable Contribution To Indian Boxing Comes From Vijender Singh. He Was The First Indian Boxer To Win An Olympic Medal, When He Won The Bronze At The Beijing Olympics. He Was Also Awarded The Rajiv Gandhi Khel Ratna- India's Highest Sporting Honour And The Padm Shri Award. With The Right Training And Support, Indian Boxing Is Just A Few Steps Away From Making It A Permenant Mark On Boxing History. Carrom Is One Of The Most Popular House-Hold Games In India. It Largely Revolves Around The Concepts Of Geometry And Physics. The Origins Of The Game Maybe Obscure But More Often Than Not, Link Back To India. Some Say It Was The Invention Of The Maharajahs Of India. Alongside Being A Regional Pastime Of The Indian Subcontinent It Has Spread To Other Countries Where South Asians Have Migrated. Players Often Begin At Home With Family But Carry It Into Their Adult Lives As A Social Activity Or Even To Work As A Break From The Office Routine. Serious Carrom Tournaments May Have Begun In Sri Lanka In 1935 But By 1958, Both India And Sri Lanka Had Formed Official Federations Of Carrom Clubs. Rankings Of State-Wide Teams In India Began In 1956 And The First Matches Between National Teams- India Vs Sri Lanka Occurred In The 1960s. Regional Competitions Have Also Taken Place In Pakistan, Afghanistan, Malaysia, And The Republic Of The Maldives. By The 1970s, Commercial Importation From India Had Begun And Tournaments Were Being Held In Switzerland, Germany And Holland. International Competitions Were Already Underway In Europe By 1980 And Today, Thousands Of Serious Carrom Players Are Spreading Its Popularity While Boards Are Now Being Manufactured In Germany, Switzerland, Holland, And Italy. The International Carrom Federation (ICF) Is The International Governing Body For The Game Of Carrom. Such An Organisation Was First Proposed In The 1950s, But The ICF Was Not Formed Until October 1988, When Delegates From India, Sri Lanka, The Maldives, Malaysia, Germany And Switzerland Met In Chennai, India, For The First World Carrom Congress, At Which The ICF Was Formed And An International Set Of Rules Was Adopted. 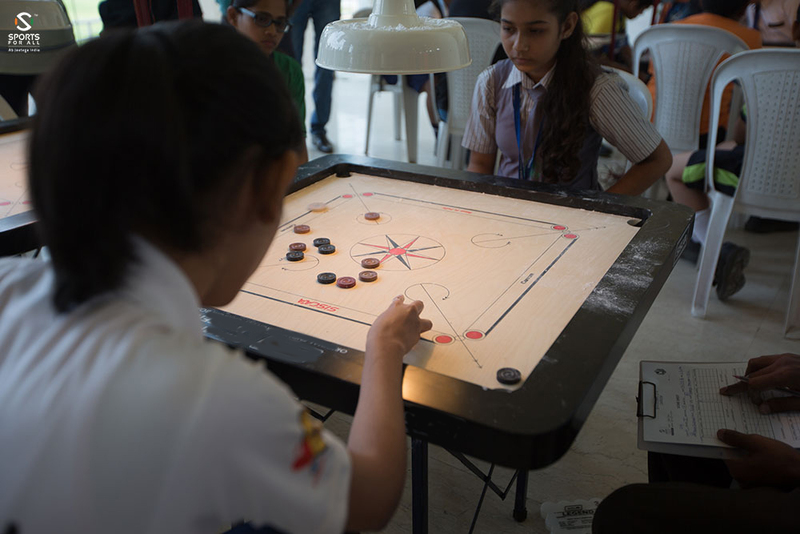 In India The Game Is Controlled And Promoted By All India Carrom Federation, With Close To 48 Units (30 State Associations And 18 Institutions), Affiliated To It. Already The Federation Has Organized 117 National Championships And Many Other Tournaments. The Government Of India Allots Grant-In-Aid For National Carrom Championships. The Indian Olympic Association Has Also Recognized This Game. Maybe One Day Carrom Will Be Instituted An Olympic Sport. “Chess Is Not Always About Winning. Sometimes It’s Simply About Learning. And So Is Life.” & “No One Has Ever Won A Game Of Chess By Making Only Forward Moves, Sometimes You Have To Move Backwards To Take Better Steps Forward. That’s Life!” The Quotes Above Quite Eloquently Describe The Values Imparted By Chess And Its Personality-Reflecting Traits. Many Countries Claim To Have Invented Chess In Some Incipient Form. The Most Commonly Held Belief Is That Chess Originated In India, Where It Was Called Chaturanga, Which Appears To Have Been Invented In The 6th Century AD. Although This Is Commonly Believed, It Is Thought That Persians Created A More Modern Version Of The Game After The Indians. In Fact, The Oldest Known Chess Pieces Have Been Found In Excavations Of Ancient Persian Territories. Chess Eventually Spread Westward To Europe And Eastward As Far As Japan, Spawning Variants As It Went. The World Chess Federation (FIDE), Founded On July 20, 1924 In Paris, Connects The Various National Chess Federations Around The World And Acts As The Governing Body Of International Chess Competitions. Chess In India Has Risen To Greater Heights Due To The Influence Of Chess Grandmaster And Former World Champion Viswanathan Anand. He Became India's First Grandmaster In 1988 And Held The FIDE World Chess Championship From 2000 To 2002. He Became The Undisputed World Champion In 2007 And Defended His Title Against Vladimir Kramnik In 2008, Against Veselin Topalov In 2010 And Against Boris Gelfand 2012. In The World Chess Championship 2013 He Lost To Challenger Magnus Carlsen And He Lost Again To Carlsen In The World Chess Championship 2014. Anand Is The First Recipient Of The Rajiv Gandhi Khel Ratna Award In 1991–92, India’s Foremost Sporting Honour. He Was Also The First Sportsperson To Win The Padma Vibhushan, India’s Second Highest Civilian Award. 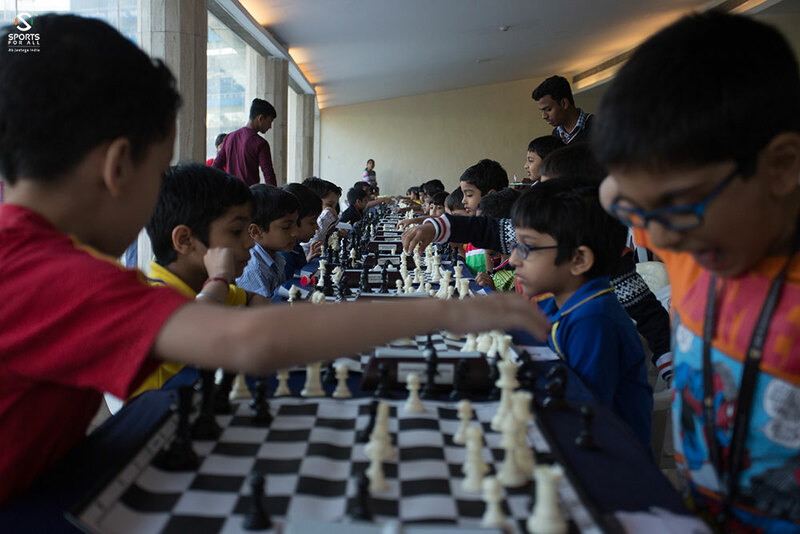 Surely For A Game That Requires The Mind And A Chess Set For Infrastructure, The Birth Of Top-Quality Chess Players In India Cannot Be Limited. Most Fanatics Would Agree With This, And Even Those Who Remain At The Periphery Cannot Distance Themselves From The Football World Cup. The 2014 FIFA World Cup Reached 3.2 Billion Viewers, One Billion Watched Final. It Means That It Reached About Half The Planet! Even A Domestic Club Game Will Garner Crowds Of About 100,000 Week In And Week Out. Women, Men, Children And Senior Citizens Even, Flock Together As Age Becomes Just A Number And Their Voices Become Their New Identity. Rich Or Poor, Black Or White, Hindu Or Muslim, Girl Or Boy, Football Unites Them All. Football Is Said To Have Originated In England In The 1863 When Rugby Football And Association Football Branched Off On Their Different Courses And The Football Association In England Was Formed - Becoming The Sport's First Governing Body. Many People Believe It Originated In China Around 476 BC. And Since The Inception Of The English FA, Almost 210 FIFA Affiliated Associations Have Sprung Up Around The World. India Is Represented At FIFA By The All India Football Federation That Was Founded In 1937. The Men’s National Team Has Ranked At An Average Of 134 Of The 205 Teams That Are A Part Of The FIFA Rankings. The Women’s National Team At An Average Of 57 Of The 134 Women’s Teams. 1951-1962 Marks The Golden Era Of Indian Football, When The Indian Team Was Considered The Best In Asia. They Were The First Asian Team To Reach The Olympic Semi-Finals In 1956, With Neville D'Souza Scoring A Hat-Trick And Becoming The First Asian Player To Score A Hat-Trick At The Olympics. Olympic Success Was Simply The Highlight Of This Era, With Notable Success In The Asian Games! Today A Change In Tide Has Seen The Younger Generation In India; Take To Football With As Much Passion And Gusto As A Follower In Spain Or England Or Brazil. Looking At This Transformation, Many States And Private Organisations Have Established Grassroots Programs Across The Country. Their Programs Vary; But Most Of Them Have Adapted To Small-Sided Games, That See Higher Involvement From Every Player In Every Aspect, Technical Or Physical. This Enables Talent Identification At A Young Age And Widens The Base Of The Football Pyramid. India Has Seen The Birth Of A New Sport League For Football Called The Indian Super League. It Is India’s Highest Professional League In Terms Of Participation And Talent. International Legends Like Roberto Carlos, Robert Pires, Alessandro Del Piero And Diego Forlan Have Graced It Since Its Inception In 2014. It Is Raising The Bar For Indian Footballers As Well As Giving The Country A Taste Of Quality Football. Judo Was Created By Professor Jigoro Kano In Japan By Mastering Several Styles Of Jujutsu Including Kito-Ryu And Tenjin-Shinyo Ryu In His Youth, Following Which He Began To Develop His Own System Based On Modern Sports Principles. So, It Is Safe To Say That Judo Is An Evolution Of The Legendary Art Form Of Jujutsu. It Is A Scientific System Of Attack And Defense Applicable For Hand-To-Hand Combat Purposes. Today Judo Stands For Many Different Things To People, For Some It Is A Fun Sport, For Some An Art, A Discipline, A Recreational Or Social Activity, A Fitness Program, A Means Of Self-Defense Or Combat And For Some A Way Of Life. Judo Was Introduced Into The Olympic Games In 1964 And Is Practiced By Millions Of People Throughout The World Today. Professor Jigoro Kano Was Also The First Asian Member Of The International Olympic Committee In 1909. Judo Made Its Way Into India In 1929 According To The First Written Reference In Kodokan, With None Other Than Gurudev Ravinder Nath Tagore Arranging Judo Coaching And Demonstrations At Shantiniketan. Apparently Tagore Even Wrote A Poem On Judo Following This Event Conducted By The Japanese Judo Coach To India, Mr. Takagaki. 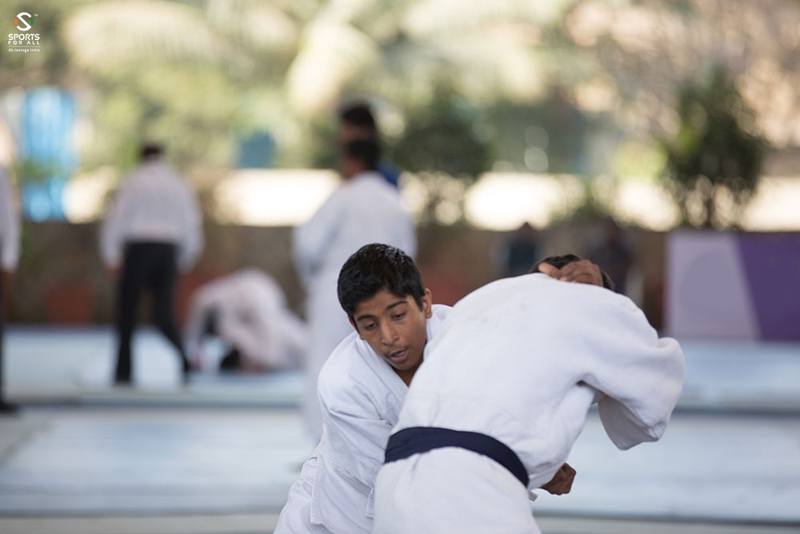 The Judo Federation Of India Was Established In 1965 With The First National Judo Championship Being Held At Hyderabad In 1966. Judo Teaches Teaches One To Be Alert And Ready For Any Emergency As Well As Providing An Insight Into Human Behaviour In Many Situations Requiring Restraint And Tact. And Above All, The Physical Advantages, Judo Teaches To Its Disciples Understanding, Tolerance, Patience, And Self-Confidence. Karate Is One Of The Most Popular Martial-Arts On The Planet And By Far The Most Popular Among Young Fighters In India. The History Of Karate Can Be Traced Back To The Okinawan Islands, Off The Coast Of Japan. It Began As Te (Hand), A Fighting Style Used By The Natives Of The Ryukyu Islands, And Was Later Influenced By Chinese Kenpō, Introduced Through The Chinese Families That Settled On Okinawa After Trade Relationships Between China And The Islands Were Established. From Three Okinawan Cities (Shuri, Naha, Tomari), Each Closely Spaced But With Very Different Societal Demands, Three Separate Styles Emerged: Shuri-Te, Naha-Te And Tomari-Te. Today Karate Is Has Evolved Into A Popular And Beloved Sport Practiced By Millions Across The World. The World Karate Federation (WFK) Is The Largest Organization For Karate As A Sport And Has Developed A System Of Common Rules And Regulations. Karate Has Recently Been Recognized By Olympics Committee For 2020 Olympics To Be Held In Tokyo. Incidentally, Many People Believe That Karate Originated From India Itself. The Theory States That It Came From India Over A Thousand Years Ago, Brought To China By A Buddhist Monk Called Bodhidarma. As Legend Describes It, Bodhidarma Arrived In Shaolinsi And Began Teaching Zen Buddhism As Well, A Style Of Temple Boxing Based On Exercises Designed To Strengthen The Mind And Body. 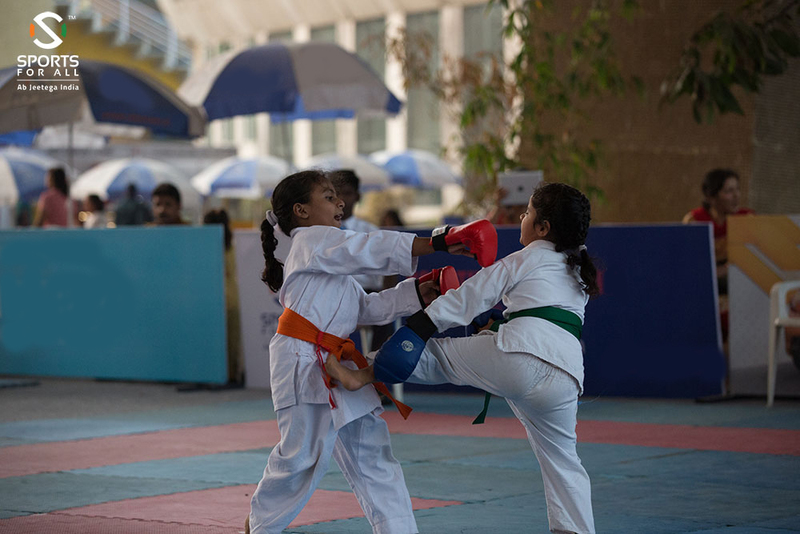 Karate In India Is Conducted By The Karate Association Of India (KAI) And Is Affiliated With World Karate Federation(WKF), Asian Karate Do Federation(AKF), Commonwealth Karate Federation (CKF) And South Asian Karate Do Federation (SAKF). It Has 34 State/Province Members All Over India Along With SSCB, Army, ITBP. Numerous Schools And Clubs Have Been Set-Up Across The Country As India Hunts For The Next ‘Karate-Kid’! A Tag Sport From The Indian Subcontinent, Kho Kho Ranks As One Of The Most Popular Traditional Sports In India. The Origin Of Kho Kho Is Difficult To Trace, But Many Historians Believe, That It Is A Modified Form Of 'Run Chase', Which In Its Simplest Form Involves Chasing And Touching A Person. In The Indian State Of Maharashtra, Kho Kho Was Played On 'Raths' Or Chariots, And Was Known As Rathera In Ancient Times. Like All Indian Games, It Is Simple, Inexpensive And Enjoyable. It Does, However, Demand Physical Fitness, Strength, Speed And Stamina Besides A Certain Amount Of Ability. Dodging, Feinting And Bursts Of Controlled Speed Make This Game Quite Thrilling. To Catch By Pursuit - To Chase, Rather Than Just Run - Is The Capstone Of Kho Kho. The Game Develops Qualities Such As Obedience, Discipline, Sportsmanship, And Loyalty Between Team Members. The Rules Of The Game Were Framed In The Beginning Of The 20th Century. At Gymkhana Poona, A Committee Was Formed In 1914, To Frame Its Rules. The First Ever Rules On Kho Kho Were Published From Gymkhana Baroda, In 1924. In 1959-60, The First National Kho-Kho Championship Was Organised In Vijayawada (Andhra Pradesh). The Championship Was Won By The Then Mumbai Province Under The Leadership Of Rajabhau Jeste Who Was A Champion Player, Expert Commentator And Redoubtable Coach Made In One. 1960-61 Featured Women's Championships For The First Time. The Asian Kho Kho Federation Was Established In The Year 1987 During The 3rd SAF Games, Held At Kolkata, India. The Member Countries Were India, Bangladesh, Pakistan, Sri Lanka, Nepal And Maldives. The First Asian Championship Was Held At Kolkata In 1996 And The Second Championship At Dhaka In Bangladesh. In The Year 1982, The Game Was Included As Part Of Indian Olympic Association And Few Years Later In 1989 Saw The Game As A 'Demonstration' In 'Asian Games' Festival. The Year 1998 Saw The First Ever International Championship Organized In The Indian City Of Kolkata. The Sport Now Awaits Its Inclusion And Recognition On An International Stage! Shooting Is Said To Be The Ultimate Test Of Accuracy And Control. As A Competitive Sport It Is A Test Of Proficiency (Accuracy And Speed) Using Various Types Of Guns, Such As Firearms And Air Guns. Shooting Sports Are Categorized By The Type Of Firearm, Target, And Distance At Which The Targets Are Shot. Primarily Used For Military Training, The Game Requires Great Concentration Skills, In Order To Acquire Precision While Shooting The Target. Marksmen Need To Be As Steady As Possible To Be Accurate. In Order To Achieve This, They Use Relaxation Techniques To Drop Their Heartbeat To Half Its Normal Rate. Men’s Shooting Was One Of The Nine Events At The Very First Olympics In Athens In 1896. History Dictates That Live Pigeons Were Used In Shooting In 1900 In The Paris Olympics And Was Replaced With Clay Targets From Then On. The Sport Has Evolved From Just Two Events – Pistol And Rapid Fire Pistol To The Current Seven Events. Rio 2016 Olympics Will Have Fifteen Events – Nine Men’s And Six Women’s Events. From Just Five Shooting Events At The Inaugural 1896 Olympic Games To 15 Today, The Sport Has Grown Steadily Alongside The Advance In Firearms Technology. The Origin Of Shooting In India Can Be Traced Back To The Medieval Period, When Indians Used To Practice The Game In The Form Of Archery. During The 16th Century, The Firearms Were Introduced To The Game, Which Was Primarily Used For Hunting. Shooting Competitions Were Held Right From The 11th Century, Although The Game Was Considered Royal, Confined To The Maharajas Of The Princely States Of India. The National Rifle Association Of India (NRAI) Came Into Existence In 1951, Which Paved The Way For The Recognition Of Shooting As A Sport In India. The Establishment Of NRAI Proved Beneficial For The Shooters In India, Who Were Given International Exposure. 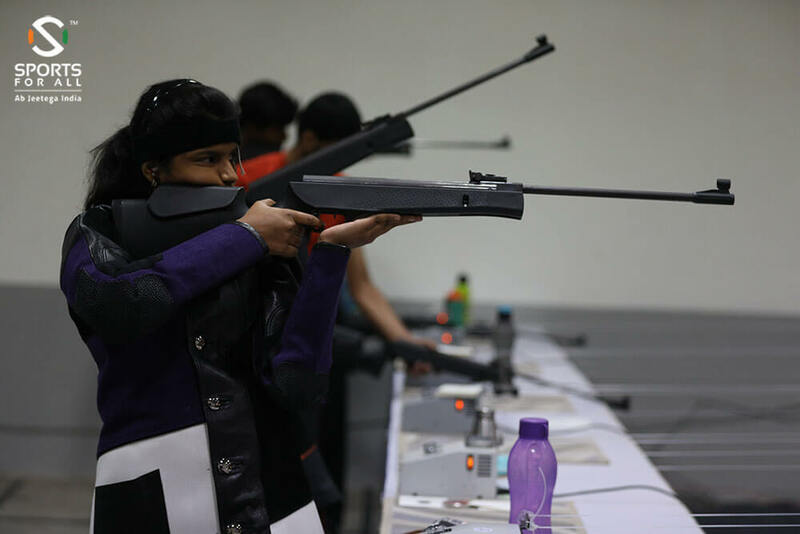 The Indian Shooters Have Marked Their Presence And Gained Success In Prestigious International Events Including Olympic Games, Commonwealth Games, SAF Games And Asian Games. One Of The Outstanding Performances Delivered By The Indian Shooters Was Witnessed At The 1990 Commonwealth Games, Held In Auckland, New Zealand, When Ashok Pandit Won The Bagged Gold Medal For India, In The Free Pistol Event. The Indian Shooters Delivered Their Best Ever Performance At The 1998 Commonwealth Games Held In Kuala Lumpur, When They Won Seven Medals. Some Of The Outstanding Indian Shooters Have Received The Most Prestigious Awards, Including Rajiv Gandhi Khel Ratna Award, Dronacharya Award And Arjuna Award, For Excelling In Sports. The Shooting Sport In India Has Gained Worldwide Recognition, After Major Rajyavardhan Rathore Won The First Individual Silver Medal At The 2004 Athen Olympic Games. India Touched Another Milestone In 2008, When Indian Shooter Abhinav Bindra Won The Country's First Olympic Individual Gold Medal At The Beijing Olympics. Some Of The Legendary Indian Shooters, Who Have Excelled In The Sports And Have Brought A Lot Of Glory To The Country, Include Gagan Narang, Rajyavardhan Rathore, Anjali Bhawgat, Dr. Karni Singh, Randhir Singh, Samresh Jung And Jaspal Rana. Four Of India’s Olympic Medals Have Come From Shooting Events With High Hope For Many More! Squash Is Known As One Of The Healthiest Sports On The Planet And Is Practiced Across About 190 Countries. 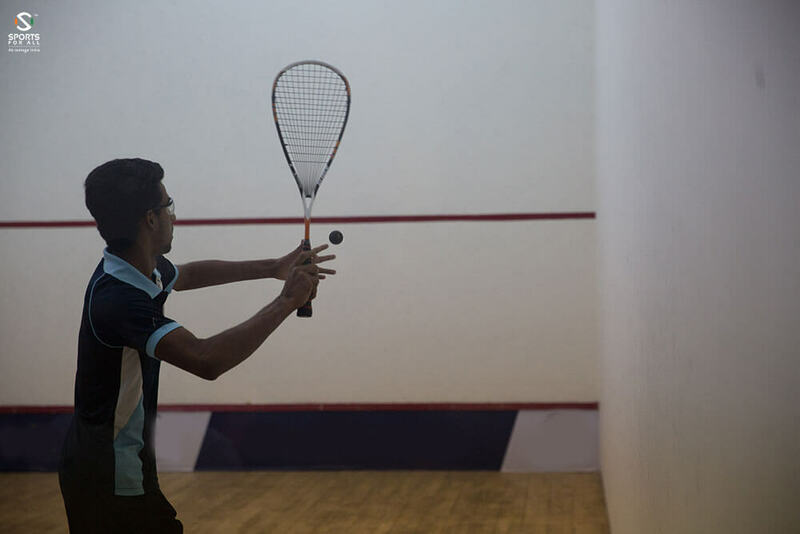 The Game Formerly Known As Squash Rackets, A Reference To The "Squashable" Soft Ball Used In The Game, Was Invented In Harrow School Around 1830. Students Discovered That A Punctured Rackets Ball, Which “Squashed” On Impact With The Wall, Produced A Game With A Greater Variety Of Shots And Required Much More Effort On The Part Of The Players, Who Could Not Simply Wait For The Ball To Bounce Back To Them As With Rackets. The Variant Proved Popular And In 1864 The First Four Squash Courts Were Constructed At The School And Squash Was Officially Founded As A Sport In Its Own Right. In December 1928 The Squash Rackets Association (SRA) Was Formed To Run Squash In Great Britain. The SRA Immediately Began Slowing The Ball Down Further. The Officials Chose The Most Inert Ball Available And Then In A Series Of Incremental Changes, Reduced It Even More. Between 1930 And 1934 The Association Cut The Standard Ball’s Speed Almost By Half. A Dramatic Rise In Popularity Came After The Second World War. In The Early 1960s Australian Men Won Every International Match In Two Tours Of England And, In London In 1964, Australian Women Beat Great Britain In Their First International Match. In January 1967 Representatives From Seven Nations (Australia, Great Britain, Egypt, India, New Zealand, Pakistan And South Africa) Met In London And Formed The International Squash Rackets Federation (ISRF). In 1980 The ISRF Opened Their Championships To Professionals. In 1980 Sweden Hosted The First World Junior Championships. In 1985 The Women’s International Squash Federation, Which Was Founded In 1976 And Had Held Four World Championships, Merged Into The ISRF. In 1992 The ISRF Changed Its Name To The World Squash Federation. Heather McKay Remained Undefeated In Competitive Matches For 19 Years (Between 1962 And 1981) And Won Sixteen Consecutive British Open Titles Between 1962 And 1977. According To The World Squash Federation, As Of June 2009, There Were 49908 Squash Courts In The World, With 188 Countries And Territories Having At Least One Court. England Had The Greatest Number At 8,500. The Other Countries With More Than 1,000 Courts, In Descending Order By Number Were Germany, Egypt, The United States Of America, Australia, South Africa, Canada, Malaysia, France, The Netherlands, And Spain. Squash Has Been Played In India Since The Pre-Independence Days. To A Large Extent It Was Introduced By The British Forces That Built Squash Courts In Military Cantonments And Private Clubs As An Outlet For Their Sporting Interests. The Squash Rackets Federation Of India (SRFI) Was Formed To Oversee The Promotion And Development Of The Sport In India. As Time Went On We Saw Minor Improvement In The Situation. Squash Promotion, Development And Performance At All Levels In India Have Escalated More In The Last 10 Years Than In The Last 50. The SRFI Headquarters Is Currently In Chennai. It Has More Than 20 State Associations And Affiliated Units. All These Units Are Actively Involved In The Promotion And Development Of The Game. Over The Last Few Years The Squash Rackets Federation Of India Has Formalised A Long Term Development Plan To Transform India Into One Of The Leading Countries On The World Circuit. Prehistoric Man Learnt To Swim In Order To Cross Rivers And Lakes – We Know This Because Cave Paintings From The Stone Age Depicting Swimmers Have Been Found In Egypt. Swimming Was Also Referred To In Greek Mythology. Swimming, Like Riding And Walking Is A Skill Or Reflex That Is Stored In Muscle Memory, And Thus Impossible To Ever Forget. Thus Swimming Can Be Dated Back To The Stone Age, But Did Not Truly Become An Organised Sport Until The Early 19th Century. People Take Up Swimming For Many Different Reasons Today. Swimming Being One Of The Healthiest Forms Of Exercise As It Induces The Use Of Every Muscle In The Body. Some Swim As A Form Of Relaxation And Pleasure And Some To Set Records. Competitive Swimming Is One Of The Most Popular Olympic Sports With Events In Butterfly, Backstroke, Breaststroke, Freestyle, And Individual Medley. The Fédération Internationale De Natation (FINA) Was Founded In 1908. Swimming Has Been Contested Since The Inaugural Modern Olympic Games In 1896. As Part Of The First Olympic Games, The First 1200m Freestyle Event Saw Competitors Being Transported Into The Icy Waters Of The Mediterranean. Evidently, Swimming Has Come A Long Way Since Then! Michel Phelps Is The Most Decorated Swimmer Of All Time With 18 Gold, 2 Silver And 2 Bronze Medals To His Name! That Is More Medals Won By An Individual Than Many Countries Have To Their Name! Swimmers Can Also Compete In Open-Water Events I.E. The Ocean, Lakes And Rivers. Gertrude Ederle, An American Swimmer With An Admirable Swimming Resume Set Her Sight On Becoming The First Woman Swim Across The English Channel! And After One Failed Attempt In 1925, She Completed The Swim In 14 Hours And 39 Minutes, Nearly Two Hours Faster Than The Fastest Male Time. In 1963 Egyptian Swimmer Abdul Latif Abu Heif, One Of The Greatest In The Sport, Swam In A 60-Mile Race Across Lake Michigan! He Finished In About 35 Hours, Which Is Approximately 34 Hours And 50 Minutes More Than Most Of Us Can Tolerate In That Chilly, Choppy Water. Indian Swimmers Have Not Been Able To Establish Themselves On An International Stage, Apart From Khazan Singh's Silver Medal At The 1986 Asian Games In Seoul. The Swimming Federation Of India Regulates Swimming Competitions And Activities In India. It Is Affiliated To The FINA, The International Olympic Association And The Asia Swimming Federation. Indian Swimmers Need To Take It Up A Notch If They Are To Dominate The Top Swimming Pools Across The World! Table Tennis Originated In Victorian England, Where It Was Played Among The Upper-Class As An After-Dinner Parlour Game, But Is Now A Fast, High-Tech Sport. It Is Also A Sport That Has The Most Participants Of Any Sport On The Planet. It Is Thought That Upper-Class Victorians In England Invented Table Tennis In The 1880’S As A Genteel, After-Dinner Alternative To Lawn Tennis, Using Whatever They Could Find As Equipment. A Line Of Books Would Often Be The Net, The Rounded Top Of A Champagne Cork Would Be The Ball And Occasionally A Cigar Box Lid Would Be A Racket. Early Versions Of The Game Were Made By Different Manufacturers Who Each Used Their Exclusive Patented Names. These Names Included Indoor Tennis, Gossima, Whiff-Waff And Ping Pong. Table Tennis Has Evolved Enormously Since It Was Invented. Nowadays, Players Use Specially Developed Rubber-Coated Wooden And Carbon-Fibre Rackets And A Lightweight, Hollow Celluloid Ball. Thanks To Their High-Tech Rackets, They Can Now Smash The Ball At Over 150 Kilometres Per Hour! It Is Estimated There Are 40 Million Competitive Table Tennis Players And Millions Others Playing Recreationally, Making It The Sport With The Most Participants Worldwide. This Is Largely Owing To Its Enormous Popularity In China, Which Has Become The Dominant Force In The Sport. Table Tennis Is A Popular Recreational Sport In India Too. The Table Tennis Federation Of India Is The Officiating Body In The Country. Indian Table Tennis Stars Sharath Kamal And Ghosh Soumyajit Are Currently Ranked In The Top 100, With Hope That India Can One Day Dominate The Ranking! Taekwondo Originated During The 6th Century, In What We Now Call The Korean Peninsula. It Was Divided Into Three Kingdoms; Koguryo, Paekje And Silla That Were At Constant War With One And Other. This Forced The Ruler Of The Smallest Kingdom Of Silla To Institute What Can Be Now Known As The Earliest Form Of Taekwondo. Thus It Is Safe To Say That It Is A Sport Whose Evolution Too, Has Been A Direct Result Of The Happenings In Korea Over The Years. Today, Under The Leadership Of The World Taekwondo Federation Taekwondo Has Grown Into An International Art And Sport Practiced In Over 190 Counties Worldwide. In 1982 The General Session Of The IOC Designated Taekwondo As An Official Demonstration Sport For The 1988 Olympic Games In Seoul, Korea. It Has Been An Olympic Sport Since 2000. Around 70 Million People Around The World Practice Taekwondo! It Was Introduced In India In 1975 With The Taekwondo Federation Of India (TFI) Being Formed And Established As A National Body Of Taekwondo In India On 2nd August 1976. It Was Also Introduced To The National Games In 1985. 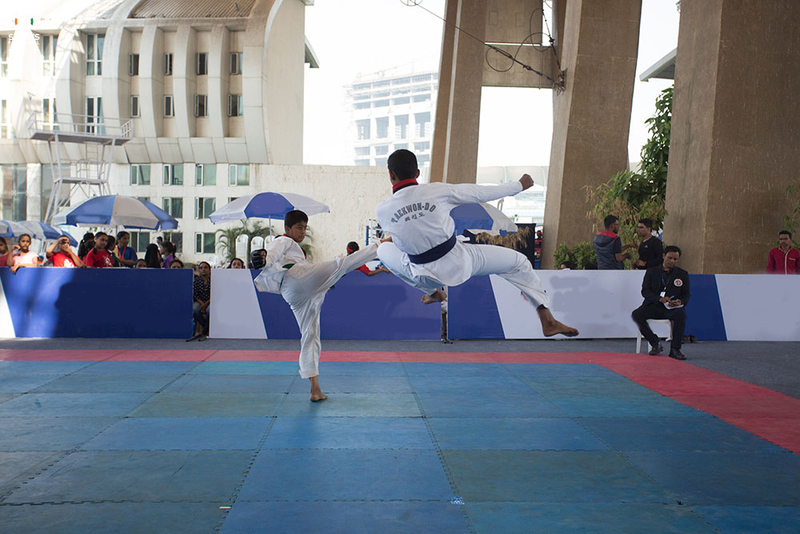 The Taekwondo Federation Of India Has Its Affiliated Members Associations Across The Country With More Than 2.5 Lakh Enthusiasts Who Practice Taekwondo Regularly. A Combination Of The Many Different Styles Of Martial Arts, It Takes Years To Master This Art Form, And Even Then There Is So Much To Learn. 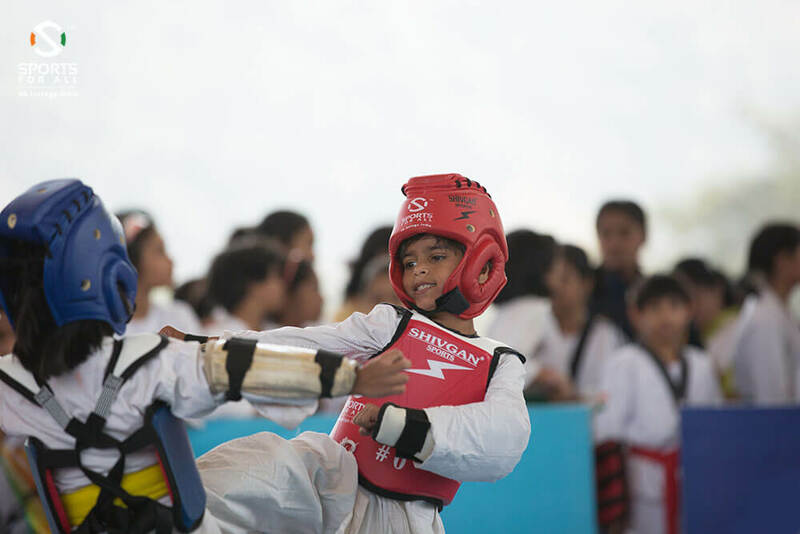 It Is Paramount That Budding Fighters In India Start Young, Under The Correct Guidance Using Top-Quality Fighting And Safety Equipment. High Levels Of Competition Are Pivotal Too, If We Are To Continue To Build On Our Olympic Dream. The History Of The Game Of Tennis Is Long And Winding But The Origins Of The Game Played Today Are From England. The Earliest Recognisable Relative To Tennis, As We Know It, Was "Jeu De Paume", Played In 11th Century France. Played In A Monastery Courtyard, The Game Used The Walls And Sloping Roofs As Part Of The Court And The Palm Of The Hand To Hit The Ball. In 1913, Lawn Tennis Was Becoming Increasingly Popular Worldwide. Therefore It Seemed Natural That The Existing National Tennis Associations Should Join Forces To Ensure The Game Was Uniformly Structured. An International Conference Was Held Between 12 Nations In Paris And The International Lawn Tennis Federation (ILTF) Was Created In 1924. Today The ILTF Is Known As The The International Tennis Federation (ITF) Changing Its Name In 1977. Tennis Has A Long Olympic History But Withdrew From The Programme After 1924. It Did Not Return As A Medal Sport Until 1988. Today, The Grand Slam Tournaments, Also Called Majors, Are The Four Most Important Annual Tennis Events. They Offer The Most Ranking Points, Prize Money And Attention. The Wimbledon Is The Oldest And Is Widely Considered The Most Prestigious. The Australian Open, French Open And US Open Are The Others. Tennis Has Been A Popular Sport In India Since Around The 1880s When The British Army And Civilian Officers Brought The Game To India. Soon After Regular Tournaments Like The 'Punjab Lawn Tennis Championship' At Lahore (Now In Pakistan) (1885); 'Bengal Lawn Tennis Championship' At Calcutta (Now Kolkata) (1887) And The 'All India Tennis Championships' At Allahabad (1910) Were Organised. In The History Of Major Tournaments, India Has Already Beaten Among Others France, Romania, Holland, Belgium, Spain And Greece In Davis Cup Ties (1921 To 1929). 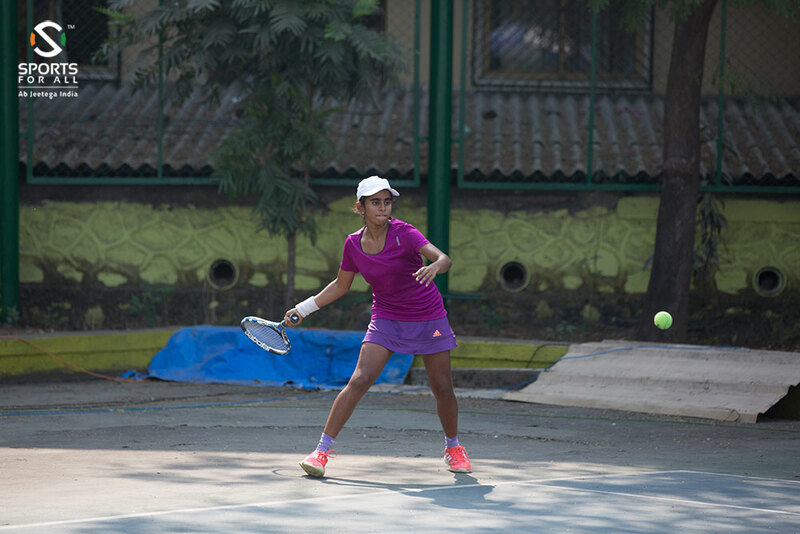 Tennis Even Today Enjoys A Considerable Following In India, Although It Is Limited To Urban Areas. India Has Produced A Number Of Tennis Players, Who Have Achieved International Recognition And Have Made Their Presence In Some Of The Top Tennis Tournaments And Grand Slams. In The 1960s, The Sport Witnessed A Golden Era. Ramanathan Krishnan Earned His Highest Seeding – No. 4 In Wimbledon In 1962. In The Davis Cup, India Repeatedly Became The Zonal Champions. Ramanathan Krishnan, Along With Premjit Lal, SP Misra, Jaidip And RK Khanna As The Non-Playing Captain, Steered India To The Cup Finals In 1966. In The 1970s, Vijay Amritraj Burst Onto The Scene. With Teammates Sashi Menon, Jasjit Singh And Brother Anand Amritraj, Vijay Took India To World Cup Finals For The Second Time In 1974. Vijay Also Made It To The Quarterfinals Of US Open In 1973 And 1981; And Wimbledon In 1973 And 1974. Today, Indian Tennis Fans Have Found Inspiration In The Form Of Leander Paes And Sania Mirza, With Generations After Ready To Inspire The Next. 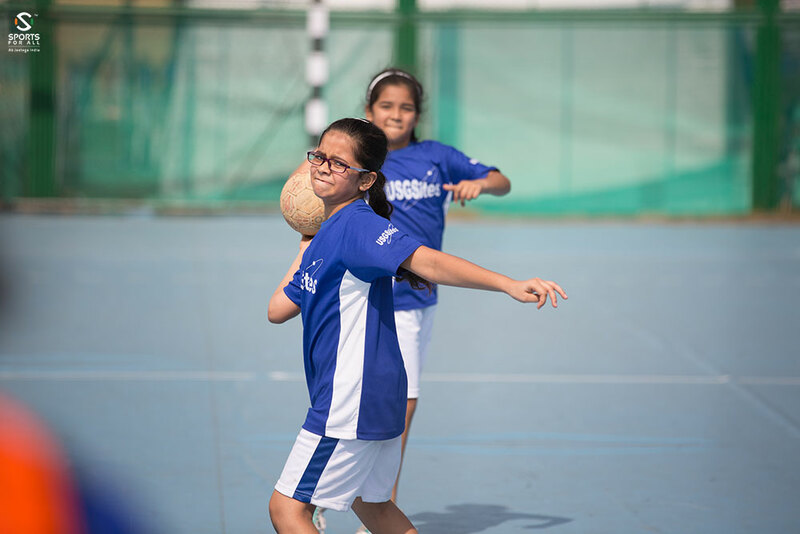 Throwball Is A Team Sport That Originated On The Indian Subcontinent, Which Shares A Lot Of Similarities To Volleyball And Newcomb Ball. Its Existence Is Traced To 1940’S When It Was Played For The First Time. The Game Was Introduced By Jagat Singh Chauhan (1937-2011) From Haryana Who Was An Alumnus Of YMCA College Of Physical Education Of Madras. He Organised The First National Championships In Jind, Haryana. Mr Jagat Singh Chauhan Was Known As The Father Of Handball, Netball And Throwball In India. His Efforts In Germany During Munich Olympics (1972) Helped In Making These Games A Legacy In India. Soon After The Guidelines For Throwball Rules And Regulations Were Drafted In 1955, This Game Became More Organised. It Achieved Notable Milestone In 1980 With National Level Championships In 1980. Establishment Of Throwball Federation Of India (TFI) In 1985 Further Popularized It With Permitting The Male Players To Play This Game. By Now This Game Has Become A Recognised Name On The Global Level And Is Controlled By International Throwball Federation Which Works As A Highest Governing Body To Promote This Game Everywhere. This Game Attained Immense Popularity And Is One Of The Globally Recognized Games Today. The Game Of Volleyball, Originally Called “Mintonette,” Was Invented In 1895 By William G. Morgan Four Years After The Invention Of Basketball. Morgan, A Graduate Of The Springfield College Of The YMCA, Designed The Game To Be A Combination Of Basketball, Baseball, Tennis And Handball. During The 1984 Los Angeles Olympics, American Men And Women Took Gold And Silver Medals In Indoor Volleyball Competitions. Four Years Later At The Olympics In Korea, The Men Once Again Scored Gold. Starting In 1996, Two-Man Beach Volleyball Was Officially Introduced To The Olympics. Today, There Are More Than 800 Million Volleyball Players Worldwide, 46 Million Of Them In The U.S.
Volleyball In India Is A Much-Reputed Sport That Is Almost 70 Years Old. The Game Is Played All Over The Country And Various Tournaments Are Conducted Every Season. The Y.M.C.A. 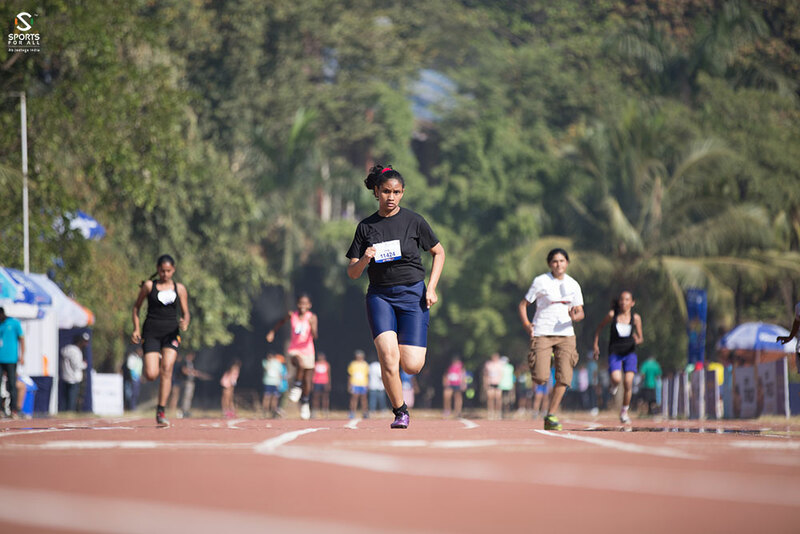 College Of Physical Education In Chennai Was The First To Begin Training Its Students In The Sport, Which Then Eventually Spread To Other Parts Of The Country. Initially, Indian Olympic Association Managed The Game And The Interstate Volleyball Championship Was Conducted Every 2 Years Between The Years 1936 And 1950. After Indian Independence, The First Indian National Championship Was Organised In 1952 At Chennai. The Game Was There Upon Organised For Both Men And Women. The Indian Volleyball Team Won Gold Medal In 1955 At The Invitation Asian Meet Held At Japan. The Popularity Of Volleyball In India Made It The Only Game To Make A Stable Place In The South Asian Federation Games (SAF) In 1987 In Kolkata. In The Year 1991, The Indian Volleyball Team Regained Its Gold Medal In Colombo Games. The Indian Women Volleyball Team Distinguished Itself In The 1993 SAF Games In Dhaka, Although It Is Yet To Make A Mark In The Asian Games. Indian Volleyball Witnessed Its Best In The Year 2003, When The Indian Team Won An Asian Games Title At The Rajiv Gandhi Port Indoor Stadium In Vishakhapatnam. The Indian Junior Team Also Qualified For The World Championship At The End Of The Year 2002. It Won The Asian Games In Iran In 2010. Jimmy George One Of India's Foremost Volleyball Players, Was Regarded As One Of The Ten Best Players In The World. Water Polo Is A Tough Sport, But When It First Began It Was Even Tougher. Fighting Between Players Was Common, If Not The Norm. In Fact, The Sport Was Founded As A Demonstration Of Strength And Swimming In Late Century England And Scotland Where Water Sports And Racing Exhibitions Were A Feature Of County Fairs And Festivals. In The Early Days, The Players Rode On Floating Barrels That Resembled Mock Horses, And Swung At The Ball With Mallet-Like Sticks. This Made It Similar To Equestrian Polo, Hence Its Name. In The United States It Was Termed Softball Water Polo Due To The Use Of An Unfilled Bladder As A Ball. Water Polo Was Developed In Europe And The United States As Two Differing Sports. Ultimately, The Faster, Less Dangerous European Style Predominated, And Today This Is The Form Of The Game Practised Universally. It Consists Of Seven-Man Teams Playing Four Seven-Minute Periods. The Rules Of Water Polo Were Originally Developed In The Late Nineteenth Century In Great Britain By William Wilson. Water Polo Made Its Olympic Debut At The Paris Games In 1900. It Was Not Included In 1904, But Would Be Present At Each Subsequent Edition Of The Olympic Games. Since Then, The Hungarians Have Been By Far The Greatest Ambassadors Of This Discipline. Between 1928 And 1980, They Won Medals At Every Games. Between 1932 And 1976, They Even Won Six Of The 10 Gold Medals Available. In 2000 In Sydney, Hungary Make A Remarkable Comeback, Winning Its Seventh Gold Medal In Water Polo. In The Same Year, Women’s Water Polo Made Its First Official Appearance At The Olympic Games, 100 Years After The Debut Of This Discipline. Water Polo In India Is Administered By The Swimming Federation Of India. India's Best Performance Was When They Won Gold At The 1951 Asian Games. The India Men's National Water Polo Team Also Won A Silver Medal At The 1970 Asian Games, Losing To Japan 4 Goals To 3 In The Final. Water Polo In India Has A Long Way To Go Before Making An Impact On The International Stage, But A Start At The Grassroots Today Can Safely Ensure The Champions Of Tomorrow.